A legend all over the world, Borneo red vein kratom has been consistently named the most relaxing strain available for decades. Grown naturally for, at the very least, thousands of years, this variant of the Mitragyna Speciosa tree is indigenous to the ancient island of Borneo. It is known to produce a sophisticated and long lasting relaxation effect. Regardless of background or experience, most users report extremely pleasant experiences resulting from its consumption. Check out the legendary past and beloved present of this excellent red veined kratom strain from Borneo. How long have you been living in your house? 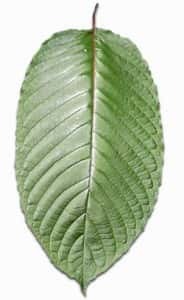 Even if you reside in a home that’s been in the family for generations, that’s just a drop in the bucket compared to how long the kratom tree has made its home in the jungles of Borneo. This is no tiny island paradise, nor is it a recent addition to planet Earth. Borneo is in fact the largest island in all of Asia, and the third largest in the world. Its rainforest is over 130 million years old. This spectacular setting is home to more than 3000 known species of trees, of which kratom is one of the star residents. We don’t know how long it has been growing on Borneo, but as long as a thousand years ago or more, humans started using the leaves of the trees for medicinal purposes. That’s quite a genealogy! The red veined leaf powder can also be used when there are no serious health issues to address. Many people enjoy the overall uplifting qualities of the supplement, and find that it dramatically increases their enjoyment of life. How does it work? Borneo Red Kratom leaves are dense with naturally-forming plant compounds known as alkaloids. These bioactive substances enter the bloodstream when you ingest kratom products. They interact with cell receptors within the body, and send messages to the sympathetic nervous system. Via this communication, the plant is able to help you reduce blood pressure, relax muscles, and clear the mind of harmful stress and anxiety. The effect can last for many hours, and will feel gentle and natural to the user – never artificial or forced. What dosage should I use? Of course, every body is different, and dosages will vary from user to user. However, with a quality kratom product, even a dosage as small as a single gram will produce a threshold effect. This will lead to a very mild and light effect. Most users enjoy a dosage in the range of 3 grams to 5 grams. This is a good median level to start with and should produce a nice relaxing effect for several hours. 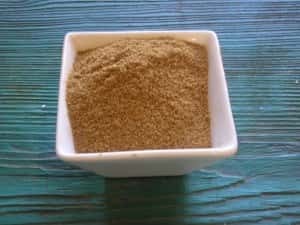 As with all kratom powders, the higher doses will produce even more relaxing effects. Experienced users can try 5-10 gram dosages. However, at the upper ranges, you may feel sleepy and not wish to perform your usual high-energy activities, so be sure to schedule some time in your day which is dedicated to total relaxation. Why Use Borneo Red Vein Kratom? Borneo red vein kratom capsules are popular across a broad range of people from all walks of life. Our modern days can be filled with all sorts of stressors and tensions. Whether work life, family life, or love life are the culprit, even the activities that are most important to us can cause us to feel high strung, anxious, and unable to relax. Kratom is an all-natural solution to this very common condition. Perhaps it is the ancient and inherently calm wisdom of the old growth island rainforest coming into play – but Borneo kratom is here to help you relax. Luckily, you don’t have to fly halfway around the world to Indonesia to experience the power of this wondrous plant remedy. Now, Red Vein Borneo Kratom is available to purchase safely and legally online. With no customs to deal with, you can generally have it shipped to you within days. Then you can quickly get onto the fun part – serving your body the sophisticated total relief it deserves.